An Early Career Award for Scientists and Engineers from the Army Research Office will enable Ehsan Hoque to develop lie-detecting technology, but also explore ways to ensure it is used responsibly. Imagine if lie-detecting apps became widely available on everyone’s phones or computers. Merely by processing a video of what you are saying to someone – by analyzing your facial expressions, body movements, auditory details, and the semantic content of your speech -- the apps could accurately predict if you are lying or telling the truth about who you voted for or about your sexual orientation. So, even as the University of Rochester computer scientist creates ground-breaking computer technology to detect lies for a host of beneficial medical and public safety purposes, he also wants to help ensure the technology is used constructively -- and ethically. He will further explore both the technology and its proper use with a $1 million Early Career Award for Scientists and Engineers (ECASE-ARMY) from the Army Research Office (ARO). ECASE awards are the highest honor bestowed by the ARO to outstanding scientists and engineers beginning their independent careers. The awards recognize researchers who pursue innovative research at the frontiers of science and technology and who also engage in scientific leadership, education, or community outreach. “This is a big boost that will help my lab continue to pursue blue-sky research,” says Hoque, an assistant professor of computer science and the Asaro Biggar Family Fellow in Data Science. He is also interim director of the Goergen Institute for Data Science. The technology Hoque hopes to develop with this award builds upon his lab’s recent work on understanding deception based on facial and verbal cues. His Rochester Human-Computer Interaction (ROC-HCI) Lab used data science and created an online crowdsourcing framework called ADDR (Automated Dyadic Data Recorder) to build the largest publicly available deception dataset so far – and to discover, for example, why some smiles are more deceitful than others. helping individuals with autism realize when they are being manipulated or deceived. 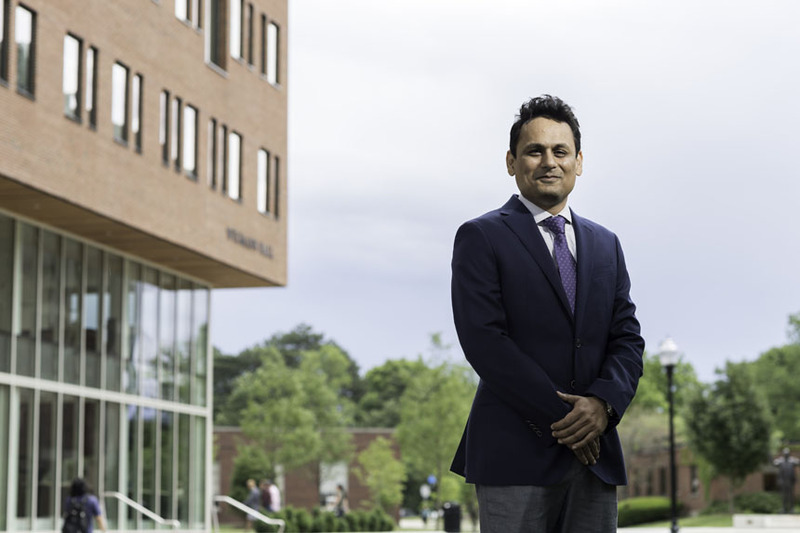 With the new award, Hoque and his lab will develop machine learning algorithms that could make the interrogations and interviews used in these settings more objective. Often an interrogation is conducted in distinct phases, starting with general questions to establish rapport. “How someone answers in the rapport-building phase could influence how the interviewer looks at that person when the important, relevant questions are asked in the subsequent phases, biasing the interviewer’s ability to tell if someone is lying or telling the truth,” Hoque says. “So, imagine as I’m interviewing you, I have a computer that is helping me out, that can treat each phase as unique and objective,” Hoque says. “We can build algorithms to help quantify some of nuances that an interviewer might miss – subtle inconsistencies among facial cues, what is said, how it is said. At the end of each phase, the algorithm, trained with reinforcement learning, would recommend whether it has “seen” enough to recommend going to the next phase, or whether additional questions should be asked. Greater objectivity could benefit both the interviewer and the person being interviewed, especially in security and law enforcement settings, he says. But Hoque worries about what could happen when the technology becomes widely available. Worst case scenario: Mandatory use of the technology to conduct job interviews. To explore the legal and ethical issues that might arise, his team will identify the ways the technoloty could be misused and recommend a framework so the invention would have the maximum net gain for society. Hoque will collaborate with Mark Frank, a professor of communication at UB Buffalo who has more than 25 years of experience studying deception with US law enforcement agencies. “Prof. Hoque is considered a pioneer in designing and validating AI technologies that can improve human ability,” a Department of Defense fact sheet notes. For example, as a PhD student at MIT, Hoque developed an app called – a 3D character that can automatically play the role of a recruiter, conduct a job interview, and provide feedback. The app provided the first scientific evidence that it is possible for humans to improve their face-to-face interpersonal skills by interacting with a computer. Hoque has since applied this framework across multiple domains: public speaking, music training, effective conduct of meetings, and end-of-life conversations between cancer patients and their oncologists, among others. His previous honors include a National Science Foundation CAREER award and selection as one of Science News’s 10 Scientists to Watch and MIT Technology Review’s Top 35 Innovators under 35. He is also an inaugural member of the ACM Future of Computing Academy, established to guide and empower the next generation of computing leaders.